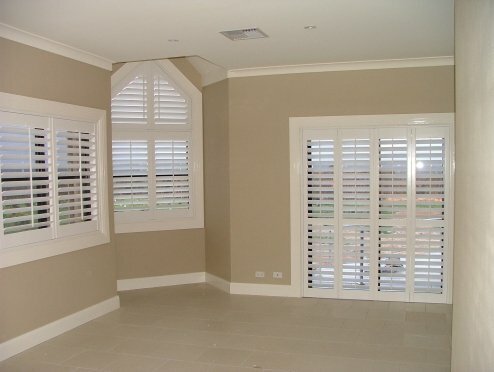 When it comes to window furnishings, Timbershades Plantation Shutters are in many cases the best overall option available in that they provide an outstanding look and have the greatest operational functionality. Plantation Shutters can be easily adjusted for light, privacy, heat control and air flow with multiple configuration options on each panel. You may have a situation where you need privacy on the lower part of the panel but would like light and air flow at the top. This can be easily catered for. 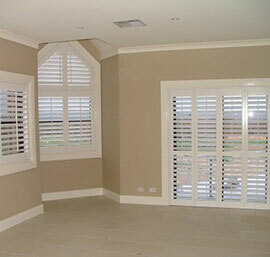 As each shutter is custom made to your window size, we can make shutters to almost any shape and size. They can be Fixed in place, Hinged, Bi-Folding or Sliding. They can come with or without Frames. There are many standard paint and stain options and also options for customized paint colours should you need to match something outside of our range. 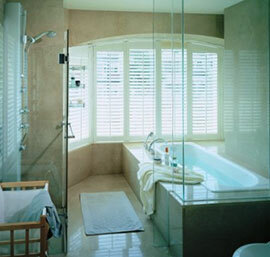 Plantation Shutters also come in a number of Blade Sizes and Shapes. The most popular blade is the 89mm Elliptical. This is an “aeroplane wing” shaped blade, thicker in the middle and narrower at the edges. Elliptical Blades are also available in 47mm. 63mm and 114mm. Flat Blades are another option in 60mm and 84mm. 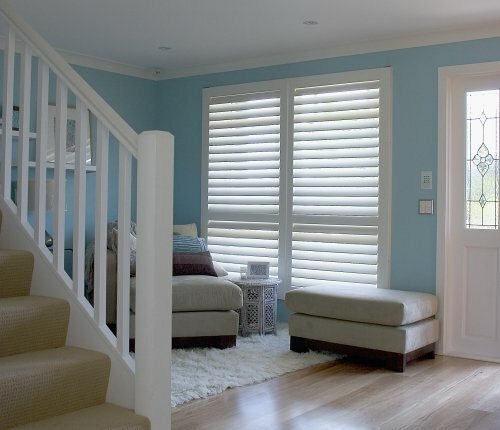 As far as Shutter materials go, Timbershades provide what we believe to be the very best options to suit the needs of most any window. There are manmade materials, Timbers and Aluminium. With our Free Measure & Quote, our experienced Representatives will discuss with you the product or products that would best suit your needs. 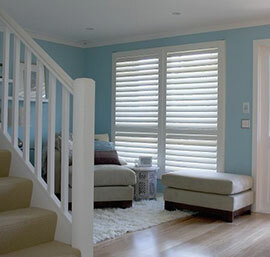 For more information and to begin the process for customized Plantation Shutters in your home, contact us today.